Above is an esoteric Jewish symbol called the 231 Gates, described in a book called Sepher Yetzirah, dating back to 2nd century CE. 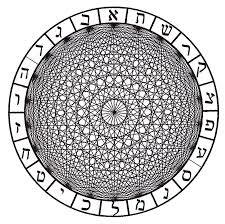 The 22 letters of the Hebrew alphabet are arranged equidistantly along the perimeter of a circle. Every possible two-letter combination finds expression through a connecting line and this generates the circular interference pattern that you see. 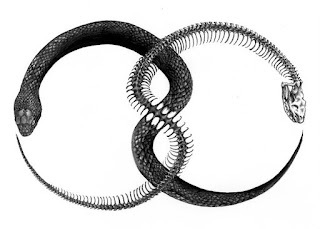 The 231 Gates closely resemble the bird’s eye view of a torus (shown above). 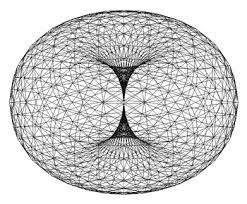 The torus is a self-enfolding recursive geometric pattern that Stan Tenen and the Meru Foundation have shown to be encoded into the underlying mathematics of the first lines of Genesis in the Old Testament. The word “torus” is a homonym of Taurus, the astrological sign of the Bull. Perhaps the shape of the bull’s horns have something to do with its etymology. 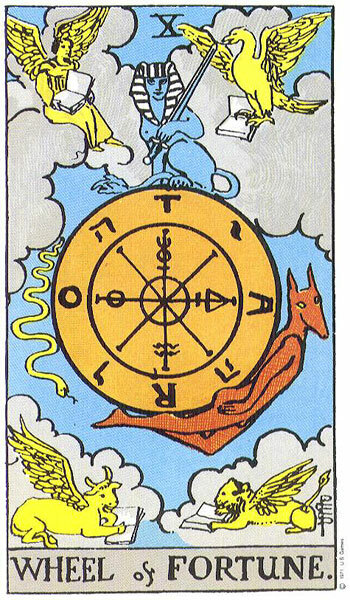 Wheel of Fortune card shows Taurus in the bottom left corner of the four fixed signs of the Zodiac (the other three being Leo, Aquarius, and Scorpio). Four English letters and four Hebrew letters are found on the wheel. When you start at the top and move clockwise you produce the word TAROT. Turning counter-clockwise, the same letters spell TORA, or torah, indicating the name of the Old Testament. If you begin at the bottom of the wheel and move clockwise to A, then return counter-clockwise to R, the word ROTATOR emerges. The double rotation spelling ROTATOR is symbolic of the corresponding flow of energy that happens along the surface of a torus; as you can see in the animated image above, the torus both unfolds and enfolds perpetually. 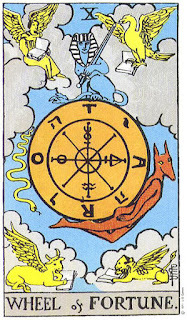 I believe the Wheel of Fortune shown in the tarot card represents the circular face of a bisected torus, like the red line in the model shown above. Churning and rotating the wheel of fortune is akin to operating one segment of the full geometric form. 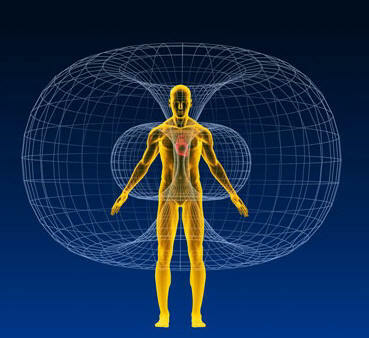 Energy moves through the body along a number of different paths. Our digestive and eliminative system is a top-down model; nutrients enter through the mouth and come out the other end. This gravity-assisted food tube contributes raw material to distributed metabolic processes that transform food into energy and give us the strength to survive. Our voice comes from the mouth as well; it propels energy forward into space. Dual-directional energy currents like eating/speaking, inhaling/exhaling, and contracting/expanding muscles can be mapped onto the unitive circulatory model of the torus. There are 22 letters in the Hebrew alphabet and 22 basic components to a cube. 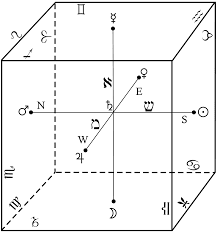 The three axis (x, y, and z), the Center, the Six Faces, and Twelve Edges. The spherical torus of the 231 gates can similarly be applied to cubes. 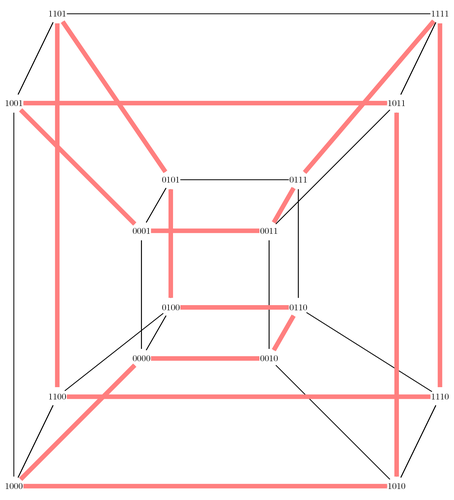 Human body is located at the center of the cube. 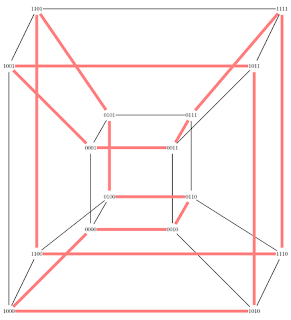 A tesseract/hypercube represents the toroidal principle of self-swallowing upper-dimensional cyclicity built on right angle geometry rather than circular/hyperspherical momentum. Click here to see a live-action image of the tesseract. Thoughts dictate the trajectory of all dreaming processes. Games and poems and riddles warp through and around the toroidal mind flux field in recursive loops. I was laying in bed paralyzed by a momentary yet complete obliteration of self-image and self-importance, remembering that the whole world is a play of light and shadow and my life is a kind of illusion.True self can be located within a microcosmic cube-sphere of tightly coiled light energy at the zero-point center of the torus. Perception sensation and judgment composed of and shaped by an endless flow of information through the mind brain bioenergetic bone flesh nervous system matrix. 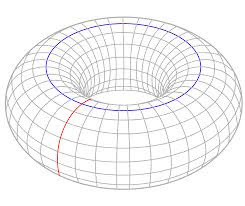 Thought loops described as “positive” and “negative” belong to ascending and descending spiral vortex paths along the surface of the torus. A healthy mind is in touch with and can entertain all perspectives because the operator-soul is a lucid and fully conscious vortex center that sees, recognizes, and honors the complementary paths of mental energy orbiting around it as an extension of inherent and eternal geometric principles. TLP: Thought Loop Propulsion – The speed at which mental processes are firing. Meditation is the key to regulating toroidal thought loop propulsion dynamics.